The Honda CR-V model is present for over two decades now and it still remains one of the most competitive models in the compact SUV segment. 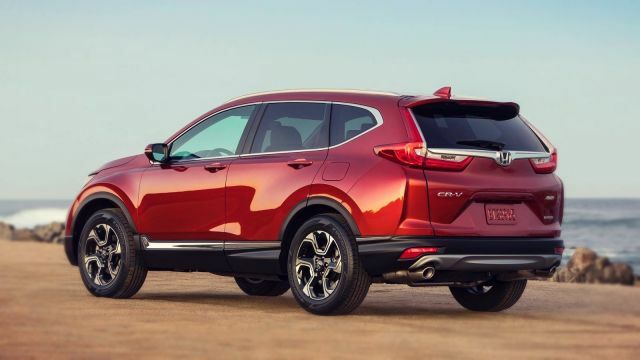 The 2019 Honda CR-V comes with great reliability, impressive fuel economy, high-tech interior and generous cargo space. The exterior design is a piece of art and the driving dynamics are on another level. The 2019 Honda CR-V lacks off-roading ability but it is a fun-to-drive SUV after all. The interior room is among the best-in-class and this model will get a CVT automatic transmission as a standard. The changes on the upcoming model are minor as the previous model suffered a revamp. Moreover, a hybrid variant will happen in 2020. After the latest revamp, the 2019 Honda CR-V looks more muscular and it looks more aggressive. This compact SUV takes a wide and long stance and the wheels are looking mean. With the 7.8 inches of ground clearance, the CR-V model looks really handsome and modern. 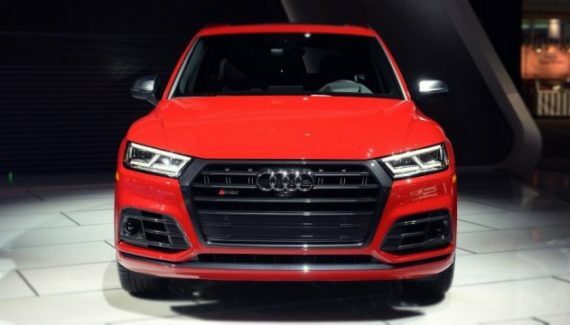 The front end sports LED headlights, while the rear comes with a rear spoiler that is available across all trim levels. 17-inch wheels are standard, but 18-inch rollers are available on the list of the optional features. Shutter grille additionally improves fuel economy and power side mirrors are also standard, even at the base model. A power sunroof is optional, but it is standard on the top-range Touring trim. The Touring trim adds 18-inch wheels, more chrome detailing, rain-sensing wipers and up to ten exterior colors. As we already said, the new model comes with many colors options. Exactly, there are ten options Basque Red Pearl, Dark Olive Metallic, Crystal Black Pearl, Lunar Silver Metallic, Modern Steel Metallic, Gunmetal Metallic, Sandstorm Metallic, White Diamond Pearl and most attractive Molten Lava Pearl and Obsidian Blue Pearl. 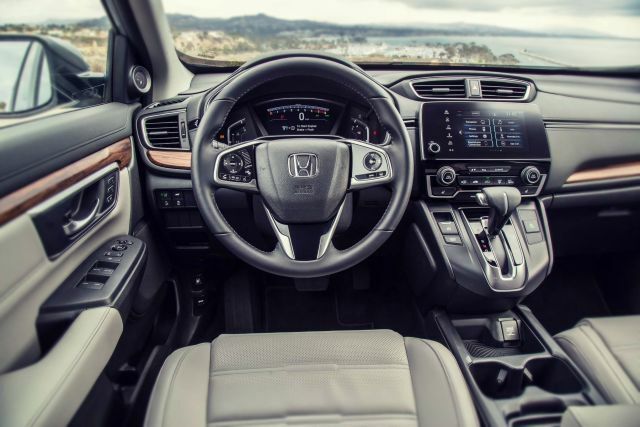 The 2019 Honda CR-V offers one stylish and very spacious interior. The cabin is comfortable and pleasing as it holds plenty of quality materials. The layout of the seats and controls is perfect and this compact SUV can fit 5 passengers across the 2 rows. When it comes to the headroom and legroom, Ford Escape leads the segment in the front-passenger space department. However, when it comes to rear passenger department, Honda CR-V is a leader. Rear headroom is rated at 39.2 inches, while the rear legroom rating is set at 40.4 inches. Moreover, the interior is functional and versatile. Sadly, there will be no changes for the upcoming model thanks to the last year redesign. The interior colors that will give more attractiveness to this SUV are Ivory, Black and Gray. 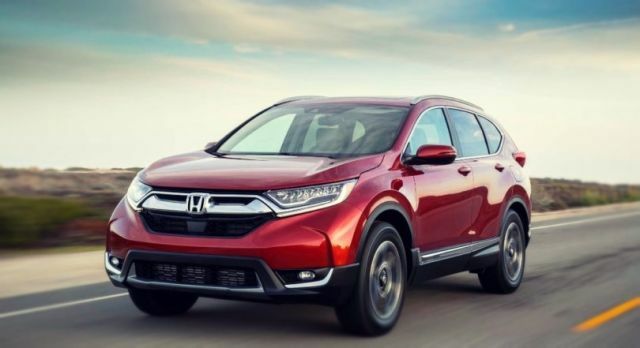 The model 2019 Honda CR-V is rated very well in safety. It offers plenty of techs and the old one features are updated to the new one. We will see many advanced ones like Electronic Stability Control (ESC), ABS and Driveline Traction Control, Back-Up Camera, Rear Child Safety Locks, Airbags Curtain for 1st and 2nd Row, Low Tire Pressure Warning, Road Departure Mitigation Lane Departure Warning. The standard package on EX and higher trims are Honda sensing safety suit that offers accident-avoidance systems or collision-mitigation braking, blind-spot monitoring, adaptive cruise control and there is a lane-keeping assist. 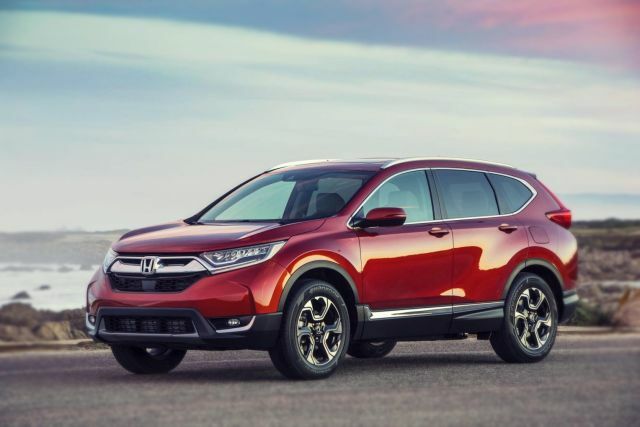 The 2019 Honda CR-V offers two engine options. Both of them are tied to a specific trim level. For example, the already present 2.4-liter four-cylinder engine is available only in LX models. All other trims will get the newer 1.5-liter turbocharged unit. Both drivetrains are four-cylinders and both drivetrains are generating a similar amount of power. However, new 1.5-liter produces slightly more horses and comes with a higher fuel economy. While the 2.4-liter cranks 184 HP and 180 lb-ft of torque, a 1.5-liter can burst 190 HP and 179 lb-ft of torque. Fuel economy is similar as well, 26/32 mpg with the FWD system and 25/31 mpg with the model AWD for the standard engine and 28/34 mpg (FWD), 27/33 mpg (AWD) for the 1.5-liter turbocharged output. There is also a rumor that this year model may get a hybrid engine, but the specification is not available at this moment. We expect much better fuel economy with the hybrid one. 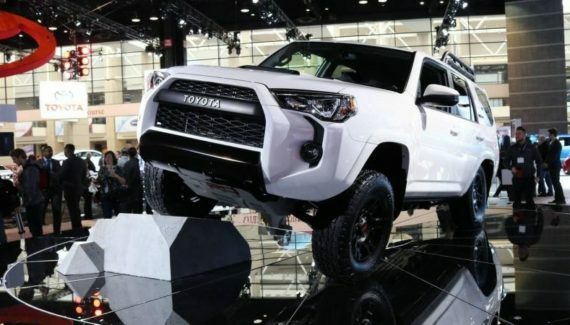 Both units will use a CVT automatic transmission where the front-wheel drive is standard and an all-wheel-drive setup is optional on both models. As you can see, the newest model CR-V comes with two very similar engines, as either of them can tow up to 1500 pounds. This compact SUV starts at around $25,000. The EX model will cost $28,000 and the top-range Touring model is priced at $33,000. We can expect the all-new 2019 Honda CR-V in the last quarter of 2018. This model will challenge models such as Toyota RAV4, Nissan Qashqai, Ford Escape and Subaru’s Forester that starts with a price lower than its rival.